The Supreme Court is saving one of its biggest cases for last. The justices are hearing arguments Wednesday over President Donald Trump's ban on travelers from several mostly Muslim countries. Kris Sanchez reports. The Supreme Court seemed poised Wednesday to uphold President Donald Trump's ban on travel to the U.S. by visitors from several Muslim-majority countries, a move that would hand the president a major victory on a controversial signature policy. 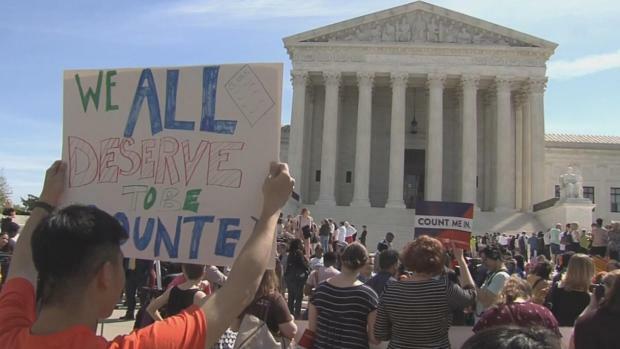 The justices in December allowed the ban to take full effect even as the legal fight over it continued, but Wednesday was the first time they took it up in open court. 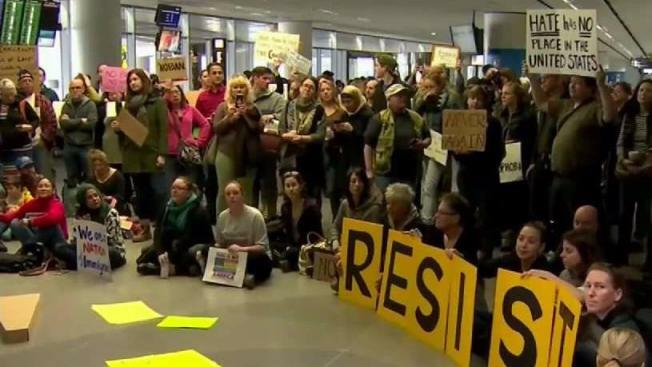 Trump's tough stance on immigration was a centerpiece of his presidential campaign, and he rolled out the first version of the ban just a week after taking office, sparking chaos and protests at a number of airports. The ban's challengers almost certainly need either Chief Justice John Roberts or Justice Anthony Kennedy on their side if the court is to strike down the policy that its opponents have labeled a Muslim ban. The room was packed for the court's final arguments until October, and people waited in line for seats for days. "Hamilton" creator Lin-Manuel Miranda was in the audience. Demonstrators protesting the ban filled the area outside the building. When Solicitor General Noel Francisco, defending the ban, started to answer that such a turn of events was extremely unlikely because of the two countries' close relationship, Kagan stopped him. "This is an out-of-the-box kind of president in my hypothetical," she said, to laughter. "We don't have those, Your Honor," Francisco replied. While there was discussion about Trump's statements both as a candidate and as president, no justice specifically referenced his tweets on the subject, despite Katyal's attempt to get them to focus on last fall's retweets of inflammatory videos that stoked anti-Islam sentiment. She told him she doubted that the president has "the authority to do more than Congress has already decided is adequate" under immigration law. She and Kagan also questioned Francisco closely about whether the ban discriminates against Muslims. From the other side, Kennedy challenged Katyal about whether the ban would be unending. He said the policy's call for a report every six months "indicates there'll be a reassessment" from time to time. 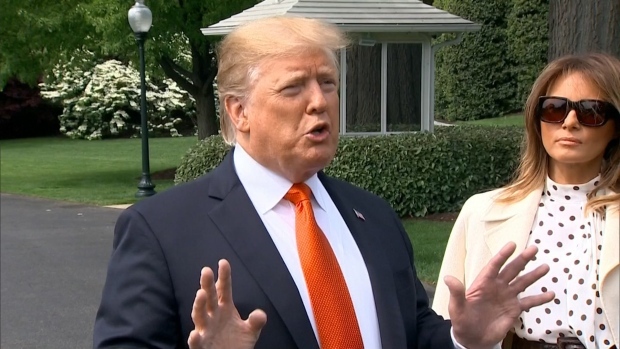 His only question that seemed to favor the challengers came early in the arguments, when he asked Solicitor General Francisco whether Trump's campaign statements should be considered in evaluating the administration's ban. Francisco told the justices they shouldn't look at those campaign statements. Kennedy pressed on that point. Speaking of a hypothetical candidate for mayor, he asked if what was said during that candidate's campaign was irrelevant if on "day two" of his administration the new mayor acted on those statements. With Katyal at the lectern, Justice Samuel Alito said it seemed wrong to call the travel policy a Muslim ban when it applies to just five of 50 mostly Muslim countries, 8 percent of the world's Muslim population and only one country — Iran — among the 10 largest with Muslim majorities. 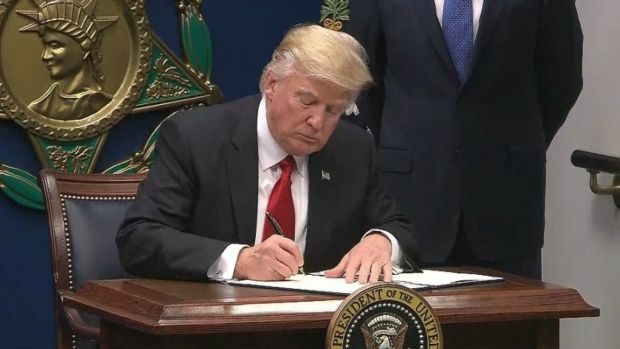 "Would a reasonable observer think this is a Muslim ban?" Alito asked. Outside the court, opponents of the ban held signs that read "No Muslim Ban. Ever" and "Refugees Welcome." In another indication of heightened public interest, the court released an audio recording after arguments ended. The last time the court did that was for gay marriage arguments in 2015. The challengers have said that Trump is flouting immigration law by trying to keep more than 150 million people, the vast majority of them Muslim, from entering the country. They also argue that his policy amounts to the Muslim ban that he called for as a candidate, violating the Constitution's prohibition against religious bias.